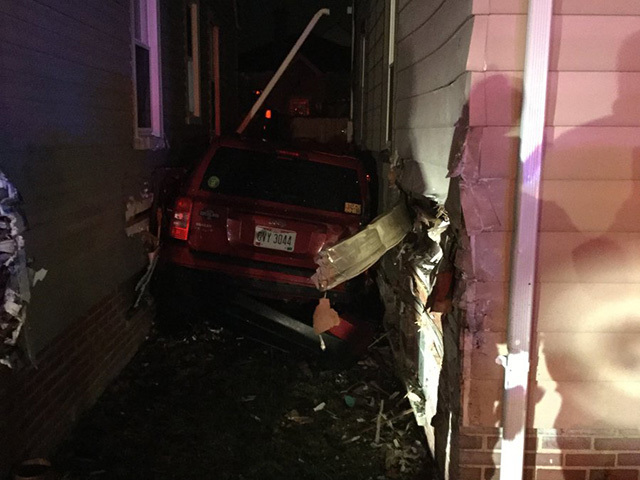 PARMA – A Jeep was found wedged between two houses in Parma Friday night. Police say the 21-year-old driver was found stuck inside the car in the 6000 block of W. 54th Street. The driver was found to be under the influence and was removed from the car. He was arrested for OVI. Police say there was structural damage to one of the homes. At the time of the crash, people were inside both houses, but no one was hurt.